Discussion in 'Mech Tech' started by simon, Apr 17, 2019 at 3:12 PM. 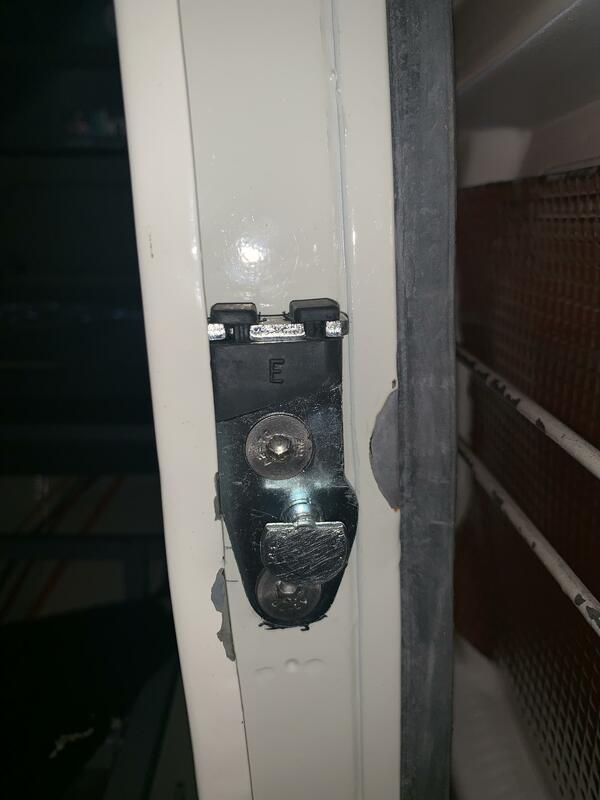 I think I know the answer already, is this the wrong striker plate for a sliding door as I have to slam the door really hard to shut it. I as comparing it to this one, mines a 1973 with the early sliding door with the lock in the door handle. Mines an early style door and looks like this one. Adjustment of the position of the rollers amd the striker plates will help. You can move the hinge up and down a bit at the back of the door. 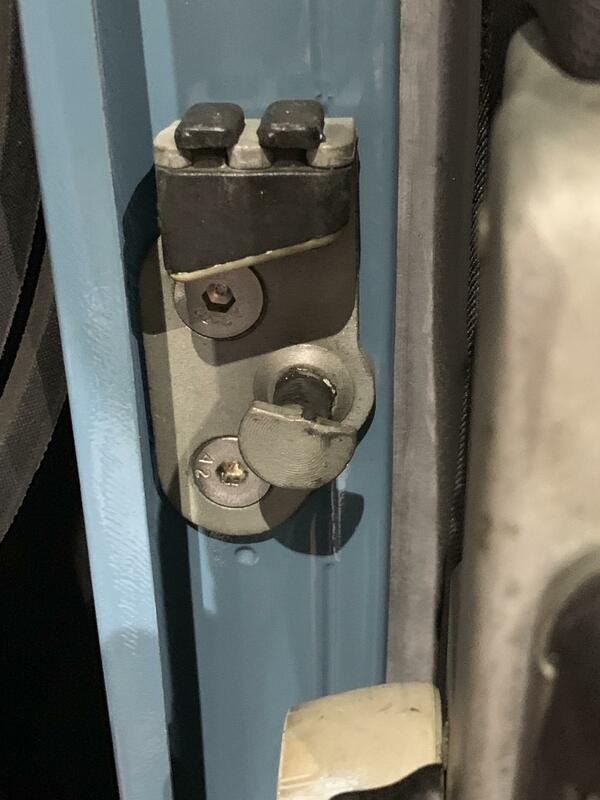 The hinge may have moved up in the door over time. Loosen all the bolts , open the door, jack the door up off the track and adjust. Also check the roller on the track - mine had a massive groove worn in the roller. New replacements are expensive rubbish. The patina on that striker plate says its a modern replacement so probably a simpler cheaper Brazilian near equivalent - the older ones are less shiny. Mine has been slammed so much the hinge U bracket broke and there are fatigue cracks in the metal of the door round the hinge fixing points ..